You don't have to let bad weather spoil your day with your dog. Rainy days, snowstorms or extremes in temperature can get in the way of plans to go outside with your dog and play fetch, run in the park or just spend time together outdoors. With nothing to do, your dog can become restless or bored and begin to act out for attention. 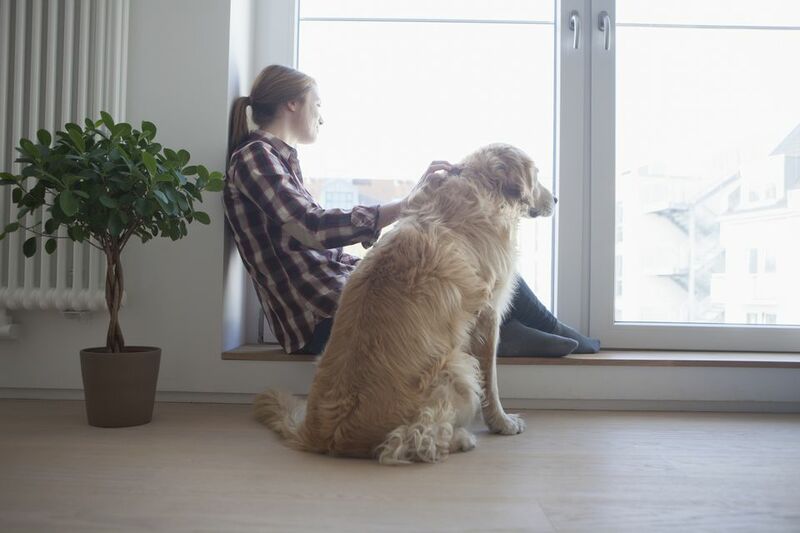 Fortunately, there are some indoor activities that can strengthen the bond between you and your dog, stimulate your dog's mind and sometimes even provide some light exercise. It might take some creativity, but the end result will make it worth your time. Here are some indoor activities for you and your dog. Anytime is a good time to run through training sessions, but if you are stuck indoors it's the perfect opportunity to work on basic commands or even more advanced ones that don't take up a lot of space. 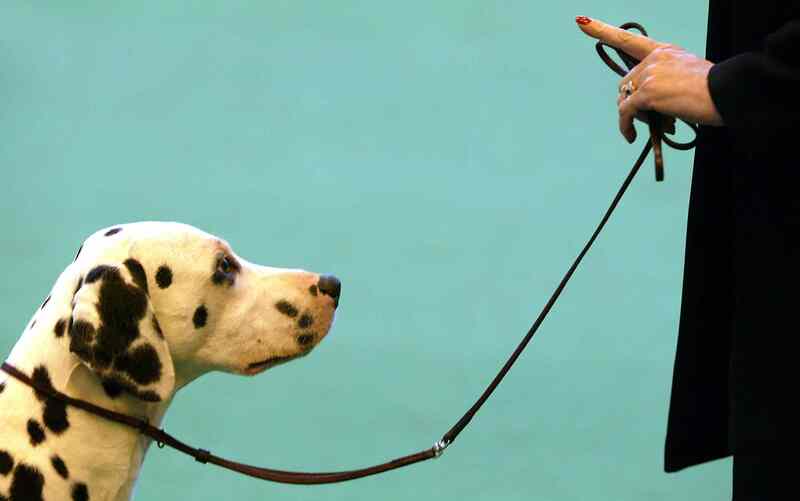 Even if your dog knows the commands well, a training session is still exciting and fun for your dog. If you want to step it up a bit, work on teaching fun tricks, like balancing a treat on the nose or rolling over. You may even be able to help your dog to learn the names of his toys, then send him to get them. The possibilities are endless. You only need a little bit of open space to play a game of tug-of-war indoors. This activity can provide some exercise to both you and your dog, especially if you both really get into it. Before playing tug-of-war indoors, make sure there are no dangerous or breakable items in the vicinity. Allow several feet of open space around the play area. Make sure that your dog has been trained to understand a release command. Now you're all set to enjoy a fun game of tug with your dog. Here's a game that allows your dog to do two of his favorite things: sniffing and eating. To set up the treat hunt, first make sure your dog is out of sight (in a separate room or in his crate). Gather some great-smelling treats that you know your dog loves. Hide the treats strategically around the house in places your dog can find them. Make sure these are places that are safe for your dog to access and not likely to become damaged. Try putting treats behind doors, next to furniture, under pillows, or in corners of the rooms. You can also hide treats under boxes, paper cups, or even your dog's toys. Once it's all set up, let your dog out. He may immediately smell the hidden treats and start searching. It's more likely that you will need to guide him to the res where the treats are and encourage him to search. This makes it a fun activity for both of you. Who says fetch is only an outdoor game? Many dogs love to play fetch. While your dog won't be able to run across a field, you can still give him a little exercise. Indoor fetch works best in a long hallway or on stairs. It's safer on carpeting or another grippy surface so your dog does not slip or slide. Make sure to clear away fragile or dangerous items first. Then, find a ball that is soft enough to toss indoors and go for it! Interactive toys are excellent for sharpening your pet's mind while also rewarding him. These toys usually involve hidden treats in an object. It requires some skill to get to the food, so your dog needs to figure out how the toy works to get to the goodies. Products like Kong toys and Everlasting Treat Balls can be stuffed with treats or soft food. With both of these, your dog will need to lick, chew and even throw the toy to get the food out. Also, Nina Ottosson Games like the Dog Tornado are unique puzzle games that contain compartments for food. Your dog must explore the toy to find the treats. Interactive toys can provide hours of entertainment for your dog. Dog grooming is one of your dog's basic needs and an important part of dog ownership. In order to make grooming a positive experience, ease your dog into it and offer plenty of rewards. Some dogs really enjoy certain aspects of grooming, especially being brushed. If your dog is a shedder, then some basic grooming with a tool like the FURminator can really help cut down on the excess hair in your home. When done in a gentle manner, grooming ​can be a soothing and enjoyable bonding experience for you and your dog.